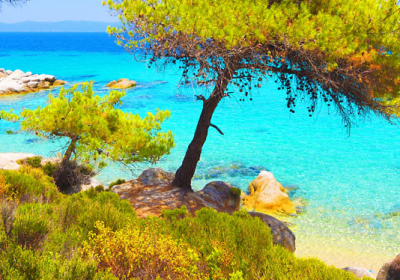 Check out the Travel Section at GoGroopie, they have some great deals like this little break to Halkidiki, Greece with Flights, Hotel and All Meals and Drinks for as little as £199 each. Get your flip flops ready for a relaxing, luxury, all-inclusive getaway to Greece! Tuck into breakfast, lunch and dinner buffets from the in-house restaurant, too! Looking for a 4 star all Inclusive package to Greece for end of March what do you have ?